The last few weeks have been flat out. Ridiculous. I lost a weekend making Roary 1.0, running out of yarn and having to start from scratch on Roary 2.0 in time for Monday (the yarn to finish Roary 1.0 is coming home today! ), I’ve been busy making multiple Yoda and Rupsje hats (info and patterns to come on those soon) to send to Australia, plus the neon bug has bitten hard. I’ve been churning out owls and whales like nobody’s business! So what have I been doing on Pinterest this week? Well, to be honest, not a whole lot. You see, about a month ago my daughter somehow managed to crack my iPad screen (also known as my extra limb). It was still usable, until my lovely husband stepped on it early one morning after my daughter had been playing with it on the floor beside our bed. In his defence, early one morning actually equals the middle of the night (that’s how early she gets us up) and it was still quite dark. He couldn’t possibly have seen it. So, off to the insurance it has gone to have the screen replaced. My iPad is my main connection to the world outside my home, so I’m feeling a bit lost without it. What a shock to my system to actually browse the Internet using a PC! However. The yarn that I have grown to love over time and have found a use for almost every variety is from Drops. I use Paris and Cotton Light religiously for amigurumi projects, and the Big Merino is fast becoming my favourite for lovely warm hats. I’ve also found a fabulous supplier here in the Netherlands: Hobbydoos.nl. Well, to be honest, there are loads of great suppliers here (remind me to write about on my faves soon), but this one is fabulously reliable and most importantly: fast. Here are some of the Drops patterns I’ve been inspired to make lately. This one is actually for a project I’m starting very soon, I can’t wait to get started. I’ve been looking at this bag for quite a long time actually. I love the colours. 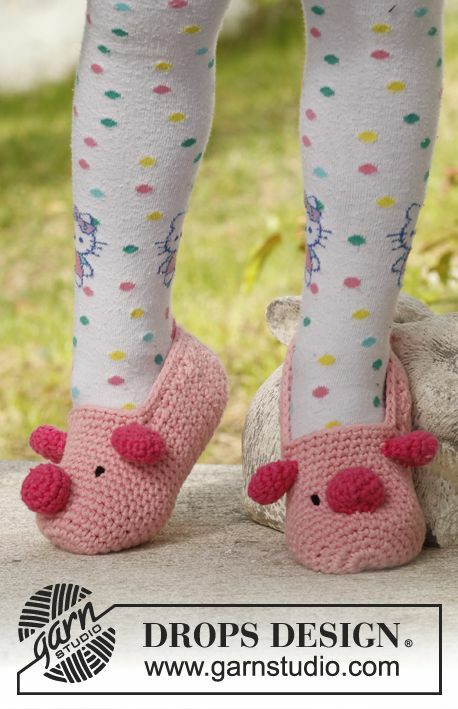 How cute are these piggy slippers. I love all things piggy. In fact Peppa Pig is our family favourite. What I also love about Drops is that the site is international and multilingual and has about a gazillion free patterns for knitters and crocheters. They’re all well written and easy to follow. What’s your favourite yarn? I’m becoming a yarn hoarder, so the more tips the better! 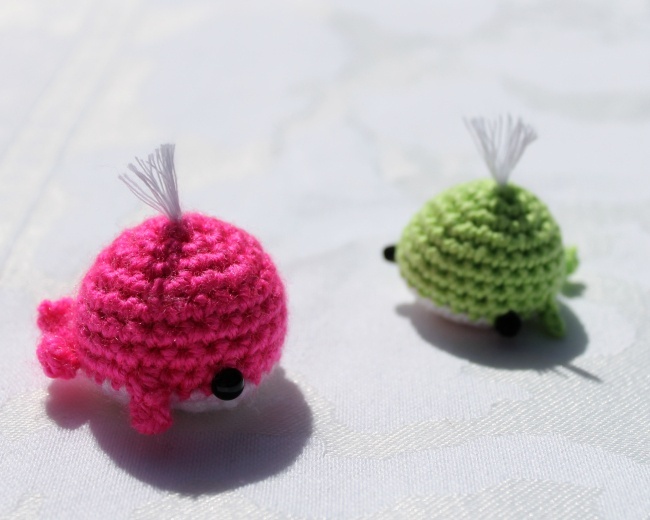 This entry was posted in Drops, Pinterest, Projects and tagged amigurumi, crochet, crochet pattern, drops, haken, pinterest. Bookmark the permalink. I love the bolero 😀 I think I will have to order one. 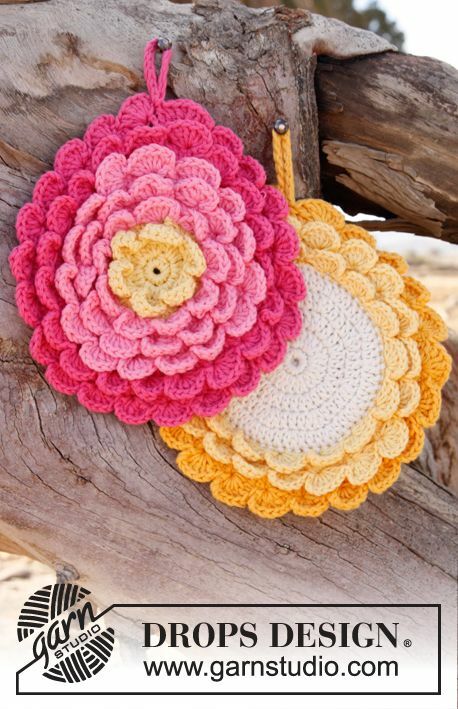 I love the bag – I think I may have another go at knitting one in summery colours as in the photo you shared! Inspired! I can definitely recommend using Drops Paris if you do. Great cotton yarn in a bazillion different colours. Or if you want to use wool, Big Merino is also a great yarn. It doesn’t have that fuzzy wool look, know what I mean? Don’t forget to share your pics when you do it! That’s some great inspiration there.